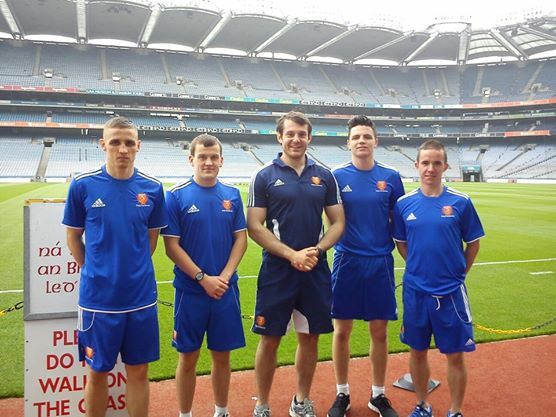 This is an interview with Daithí McCabe, an Athlete Development Coach with the National Athlete Development Academy (NADA). I first met him when I was working with the company as the Operations Manager. He speaks about going to college, getting started in the sports-coaching industry and his first jobs. I choose Daithí for this interview because I believe that he had a particularly challenging path to his current job, although it may not seem like that by the way he describes it! He started working as a caretaker for a school to put himself through college. Then, he went on to get an internship with the National Athlete Development Academy (NADA), where he did maintenance work for the company while doing a distance learning degree and practicing coaching. He has been involved with the company for about four years in total now. He only had one year of a sport science degree behind him when he started as an intern and some experience with his local boxing club. He wasn't chosen for the internship for his experience or his qualifications, he was chosen for his attitude. Started working already - he started coaching in his local boxing club. Did an internship - when the opportunity arose. Was persistent and found ways to solve problems - by doing maintenance work and coaching. Continued to learn new skills - by studying and practicing coaching outside the company. Embraced social media - by making videos and blog posts for NADA. Understood that the business needs to make money - so he started adding value first. Used his contacts - to learn about available opportunities. It seems like he was always going to get a job he liked because he had already decided that he was prepared to do whatever it takes until he got it. Then, he just had to find a way. I know that there are other people who have achieved similar things, but I know Daithí personally so I chose him as a good example. I hope you enjoyed this interview. Thanks to Daithí for taking the time to speak to me and to NADA for the use of their facilities. And thank you for checking it out.